Welcome! 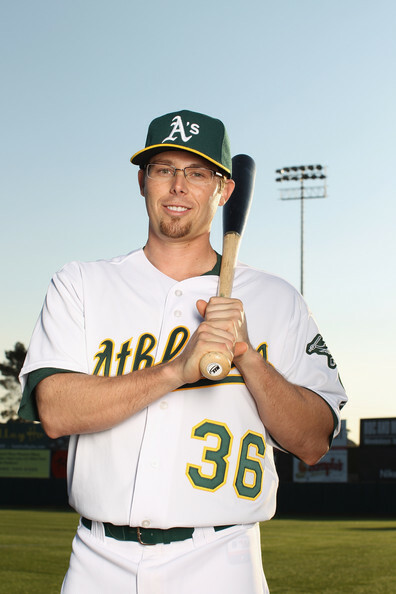 As you may or may not know, I ever so gracefully rest on the face of Oakland Athletics infielder Eric Sogard. Not to be mistaken for the somewhat less-hairy Daniel Radcliffe… or John Denver. I live a pretty busy life, and see a lot of awesome things, places, and people. You may often hear me using the words “ours,” “we,” or “us.” By these I mean Eric and me. I’d like to think that we are one, considering I play a fairly large role in his life. Let’s face it. I’m kind of a big deal. I’m really excited about this blog, and the chance to share the spectacular happenings of my life. (See what I did there?) I’ll try my best to spare you of the absurd amount of bad puns I’m bound to come up with, but no guarantees. I haven’t quite figured out exactly where I’m going with this blog yet, but I guess we will find out. I do know that I definitely will be sharing lots of behind-the-lens adventures from the field, clubhouse, and the semi-normal life at the Sogard home, apartment, hotel, etc. Hope you enjoy. This doesn’t make sense, but I love it! Go glasses! I’m sure very few of us will SEE things the same way you do, as you have a very unique VIEW of things. But I look forward to getting things from the same side of the LENS that you do as time goes on. I’m sure you’ll FRAME things in a way that will keep it interesting and we may even get things at DOUBLE PLAY depth! After yesterday (Sun. Mar 17th) you’ll probably be PERFECT in how you serve things up from the plate. “I haven’t quite figured out exactly where I’m going with this blog…” does any good blog start out knowing where it is going? hey eric, please do an interview for my blog!!!! ESG, you may be pretty great at seeing the baseball, but can you see why kids love the taste of Cinnamon Toast Crunch? Should be a fun perSPECtive. Go Eric! Hi Eric’s Sogard’s glasses! Can you ask Coco Crisp’s comb WTF? for me? Thanks! This blog needs more posts. How has the season been so far for the glasses? What role did you play in the triple, double, and steal last night? Enquiring minds want to know, dear glasses! Really enjoy watching Sogard’s glasses play. A real hustler, he seems to appreciate being a major leaguer. Talk about loving the game. Eric Sogard’s glasses please tell Eric that my girlfriend and I are big fans. And honestly a lot of it has to do with you the glasses. keep up the blog!